ASC Signal Corporation has been awarded four contracts from different divisions of the U.S. military to provide as many as 25 of the company’s 3.9-meter and 4.6-meter TriFold™ antenna systems. The C-, X-, Ku- and Ka-band, ARSTRAT-certifiable antenna systems will be mounted on a variety of mobile platforms and deployed to meet current and future military requirements in countries around the globe. Cut from a single piece of precision-spun aluminum, the TriFold™ design allows two-person deployment of these antennas in less than 30 minutes. 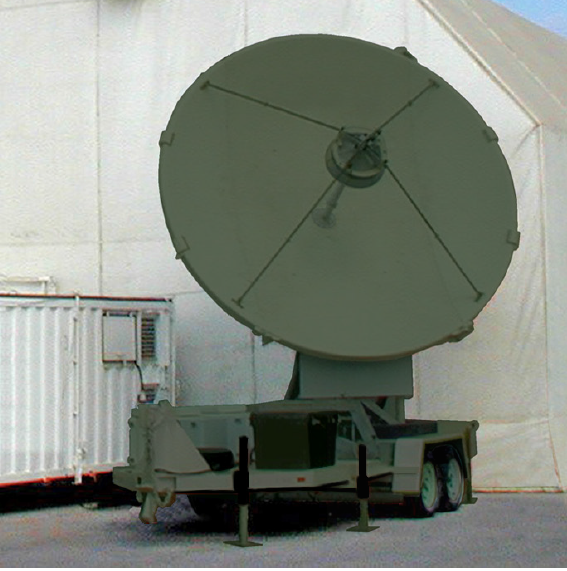 All TriFold™ systems use ASC’s high-gain, multiband antenna and modular feed systems, which have been proven in demanding commercial and military applications for more than a decade. They also take advantage of the many unique capabilities provided with ASC’s state-of-the-art Next Generation Controller (NGC) including the patented Sub-Reflector Tracking (SRT) system enabling the highest level of tracking accuracy available in mobile antenna systems. Like ASC’s smaller carbon-fiber antenna systems, the 3.9-meter and 4.6-meter TriFold™ antennas are based on the company’s high-performance fixed Earth station antenna designs. ASC Signal’s continued expansion of mobile and transportable antenna systems now reaches from 2.4-meter through 4.6-meter sizes, servicing all commercial and non-commercial/military satellite bands. The company continues to deliver Earth station antennas that seamlessly integrate fixed and mobile systems into the same network architecture, utilizing the same antenna controller systems. The result is a lower cost to customers, and more uniform operation across the entire network, with no sacrifice to performance. ASC Signal is a multinational manufacturer of satellite Earth station, radar and HF antenna systems. Customers include international broadcasters and Fortune 500 companies, as well as military and government organizations. ASC Signal is a member of the World Teleport Association and the Society of Satellite Professionals International. You can learn more here.